If you are looking for something different then look no further. 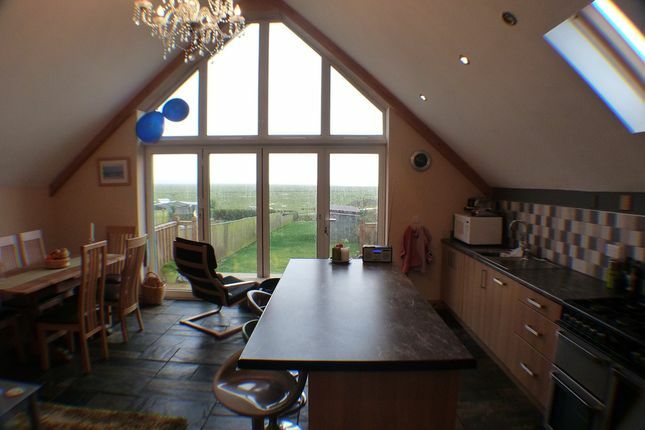 This fantastic property sits in a prime location with panoramic views overlooking the Loughor Estuary in Crofty. The property has been renovated expansively and will surprise from beginning to end. It’s a property that keeps getting better the more you see of it. At the approach to the property is a driveway for several cars a tree lined front garden and a path leading you to the front door. Located at the front of the house you will find the original part of this extended house, containing three of the four double bedrooms with a mixture of carpets and parquet flooring but all with fitted wardrobes. The extended part of the house is only two years old and comprises the fourth double bedroom with carpets and freestanding wardrobe. There is a beautiful bathroom with a nautical feel which has a freestanding bath placed opposite a private window with views over the rolling landscape as well as a large enclosed shower, airing cupboard and under floor heating. The under floor heating continues into a separate shower room and W.C, another hallway and a beautifully warm utility room which contains the combi boiler and washing machine. The remainder of the house is even better and makes up the day to day living space. The lounge is extremely well-presented with under floor heating, vaulted ceilings and velux windows. This cosy room leads to the main room in the house which offers a superb family and entertaining space. The huge vaulted ceiling, large patio doors, floor to ceiling windows combined with the spectacular views on offer give this room and incredible feeling of size and space. The room is remarkably versatile with an open-pan kitchen completed with an eight ring gas cooker, dishwasher, fridge freezer and a large breakfast bar with four stools. This substantial room also benefits from under floor heating and in addition is easily being used as a dining room and second living room. The patio doors lead to a raised decked area where you can fully appreciate the views and private location. The garden overlooks the estuary and enjoys a rear gated entrance should you have guests. Situated just 30 seconds from the nearest pub and shop and only a short journey from other local amenities, this property is ideal for someone looking for the peace and tranquillity of the Gower alongside the convenience of modern living. A unique property and a must see. Offered Furnished.